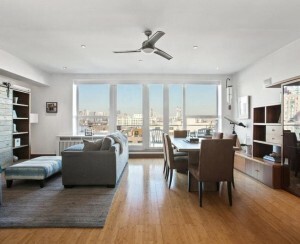 Inwood in Manhattan has recently undergone rezoning and Gowanus in Brooklyn is in the midst of it. For many New Yorkers, rezoning is a cumbersome bureaucratic process that’s hard to get energized about, but for others, it’s shorthand for gentrification and a threat to a neighborhood. It can also feel like an unstoppable juggernaut. In the case of the de Blasio administration, almost all the rezoning has been upzoning, which increases the density of neighborhoods and encourages new development with the goal of providing more affordable housing for New Yorkers. 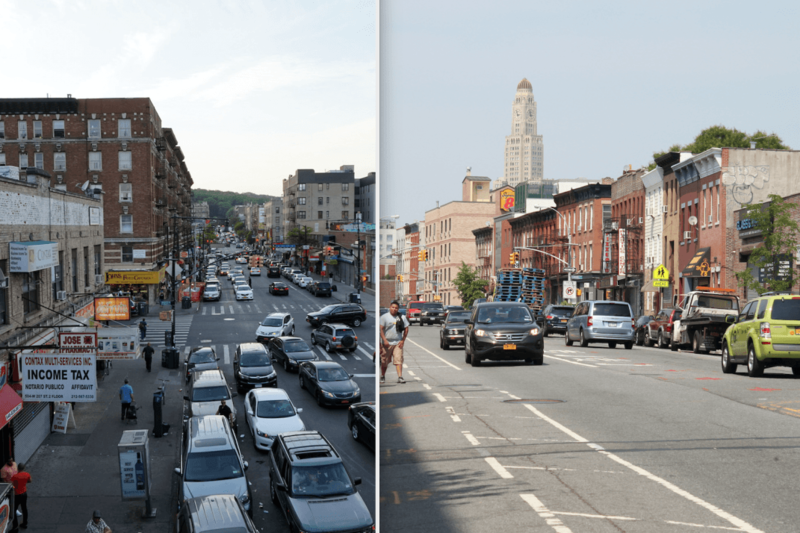 Neighborhoods like Inwood, Gowanus, Bushwick, and East Midtown have all recently undergone rezoning or are in the midst of it. It's a hot button issue, because zoning can preserve or change a neighborhood’s character. “It’s the ground rules of what can be built and where,” says Andrew Goldson, press secretary to Manhattan Borough President Gale Brewer, who has been at the forefront of discussions on zoning changes. If your neighborhood is being rezoned, in general, you can expect a complex mix of new development, affordable housing, capital improvements as well as potential rent hikes and changes to the neighborhood's demographics and more likely than not, a fight on your hands to get some of the sweeteners the city typically promises in exchange for the changes. Broadly speaking, zoning provides various rules on what can be built in a neighborhood. It's far from simple, even for a 40-year veteran like Lisa Kaplan, a community board member for the Lower East Side and Chinatown. “There are combinations of categories, of density and types of uses and restrictions, so it’s very complicated. There are 10 major residential zones with subparts and each one has a different characteristic." When it comes to population density, says Kaplan, the big one is Floor Area Ratio, which dictates how much building floor square footage you can build in comparison to the square footage of the land. 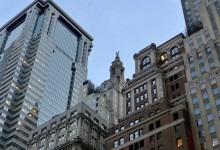 Current rezoning trends are pushing buildings higher, increasing the density of an area. Christopher Walters is rezoning and technical assistance coordinator at the Association for Neighborhood and Housing Development and says when a neighborhood gets rezoned, this "sends a message to developers and to the market that this is the new neighborhood and the one to pay attention to." 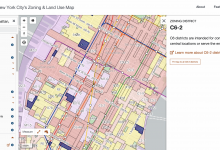 Rezoning is more often than not an initiative undertaken by the City Planning Department or the mayor, but Kaplan, says for the Lower East Side and Chinatown, it was the community that wanted changes. “We wanted to see a rezoning that would put some controls on overdevelopment and get affordable housing in return,” Kaplan says. When she moved to the area decades ago, it was one of "utter devastating disinvestment," she says. Gradually it has made a full about-face. Now any site that can potentially house more residents "is being sought after by developers for new construction and often at market rates, which are triple and quadruple what an average LES resident of modest means can afford to pay," she says. All the current rezonings feed into the administration's affordable housing goals and that’s largely done by Mandatory Inclusionary Housing (MIH), so while density has increased, there's a requirement that a portion of it needs to be set aside for affordable housing. Whether it is being appropriately enacted is another question. Walters says there will always be more unregulated than affordable units that come to a rezoned neighborhood—it needs to be attractive to developers after all—but in many cases the so-called affordable rates are higher than the median income "so there’s no guarantee that they will be serving the households in the neighborhood that are in need of affordable housing." The Association for Neighborhood and Housing Development was a supporter of MIH but Walters says "it should be a tool to open up exclusive neighborhoods and instead it’s being used as a Trojan horse to gentrify lower-income neighborhoods, rather than trying to open up wealthier neighborhoods for lower-income residents." 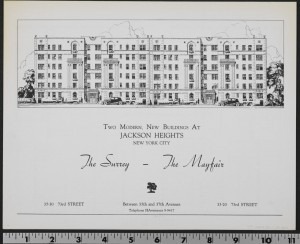 A priority for the city was to make Mandatory Inclusionary Housing the same whether it’s applied in East New York, Inwood, or the Upper East Side but, Walters points out almost all the rezoned areas have been "lower-income communities of color, which are neighborhoods that for a host of reasons are especially at risk of displacement in a changing market." Before a neighborhood is officially rezoned, the city is required to do outreach and workshops with the residents. In most cases that will trigger an Environmental Impact Statement, which analyses the effect any changes will have on the environment including schools, open spaces, and transportation. The document usually runs to thousands of pages and takes thousands of hours to put together. Kaplan says, "That’s one reason why it’s very hard for communities to sponsor zoning changes if the city doesn’t want to be of assistance, because they’ll say, 'ok, you can propose that but you will have to pay for the Environmental Impact Statement' and they are not cheap. It’s certainly going to be hundreds of thousands of dollars." A city-sponsored zoning change will certainly bring capital improvements. It's the sweetener for the density changes. Walters says improvements to the neighborhood can run to "hundreds of millions of dollars in capital investment," though he adds, "there’s a rightful sense of 'why is it that the only way we can get these new investments is agreeing to new density?'" While community involvement is sought before a rezoning takes place, Walters says in many cases, after the rezoning, the community's fight has just begun. "When the vote on the rezoning takes place, the zoning map is changed and essentially the next day, developers can start filing permits with the city. More often than not it falls to the local council member after the rezoning takes place to carry the communities demands." In rare cases, groups have had some success making changes to the rezoning before it was certified. Walters says that was the case in Inwood and East Harlem, where council members managed to scale back some of the development. In the Bronx, a coalition of community members managed to get the citywide anti-displacement policies of Right to Counsel and Certification of No Harassment to be rolled out before the zoning was carried. "I don't think anyone feels like they win," says Walters, but there are some successful policy changes. 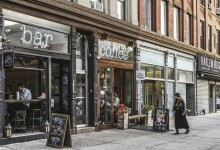 As the rules are changed, it often falls to community boards and advocacy groups to make sure there's a balance between the development and the preservation of an area's character. In most cases, you can expect your community involvement to be even more important after a rezoning, in order to achieve that and make sure the city follows through on promises to support that effort.